When it comes to growing your business and specifically sales, how’s it going? Are you on track and meeting your weekly and monthly goals? For those who are rocking their sales, Congrats! You deserve recognition for your hard work and effort. For those who aren’t yet where they want to be, let’s get serious. Time is flying by and to hit your yearly goal, you must take action NOW. It normally takes 60 to 90 days to see the results of your hard work. If you put your head down, focus, and work hard the results are going to show up midway through 2016. The year will be half over by the time you start to build momentum on what you’re doing today. If someone reviewed your activity over the last few weeks, would they say you’re giving it your all? How committed are you to doing what it takes to grow your business/sales? More often than naught, when people tell me their sales are down, it’s because they’re not doing what they know they need to do to grow the business. When I ask people, “When’s the last time you invited someone to work with you?” or “Are you following up with interested prospects?” they look at me with a blank stare or they come up with the most creative “reasons” as to why they aren’t doing what they know they must do. To be successful in sales, you’ve got to be working your business. Recently, I had the pleasure of running into a former colleague in Phoenix. During our short time together we had an interesting conversation about what it takes to close business. Here he was, half way across the country going out and visiting clients face to face to earn their business. He shared that he’d closed three large accounts that day as a result of his face to face meetings. We discussed the difference between professionals who go out and meet with prospects face to face vs. someone else who isn’t willing to do anything that involves much more than picking up a phone and calling a client. And let’s be honest, most people who’s sales are flat aren’t even picking up the phone to have conversations with prospects. A few weeks ago, I had lunch with someone I greatly admire, and she was asking about my business and the significant growth it’s had this last year. She said to me, “Nikki, you just do what it takes.” She’s right. 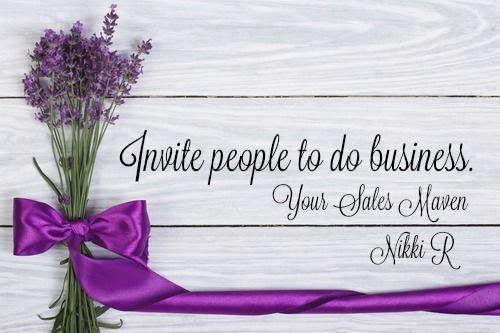 I am willing to do what it takes to grow my business, grow my sales and broaden my reach, so more people have access to developing their selling skills. So what are you doing to ensure your success? Are you waiting for the phone to ring or are you picking up the phone and having business conversations? Are you making appointments and meeting clients face to face? Too many people tell me they’re waiting until they finish their website, or until they have more energy, or until this happens, or that happens, before they can reach out to prospects. Waiting is your enemy in sales. 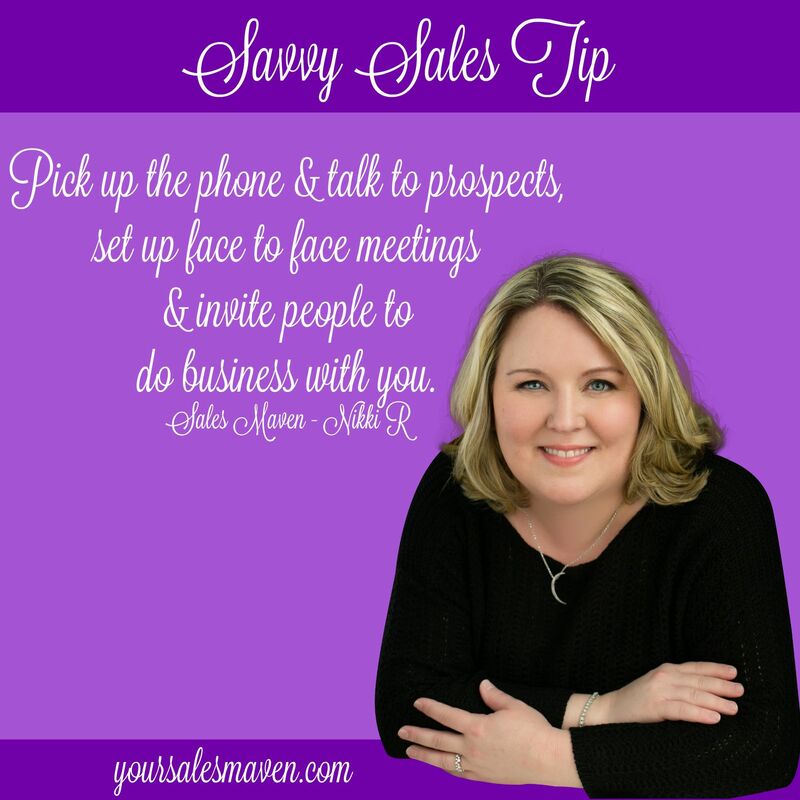 Your Savvy Sales Tip this week: Pick up the phone and talk to prospects, set up face to face meetings and invite people to do business with you. These three simple activities will grow your sales. For those who don’t know what to say or how to ask for the sale, maybe it’s time we had a conversation about this (schedule a complimentary call with Nikki). If you’re waiting until you make more sales to hire a coach, you’re missing the point. Reach out and get the help you need now, so you’re ready to have these conversations with prospects. Stop leaving money on the table. Get out there and do what it takes to build your business. I’m cheering you on!